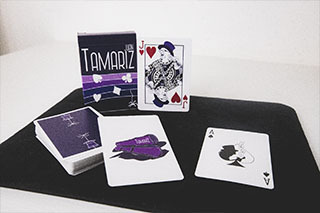 This deck is the first production of Dani DaOrtiz with Jack Nobile (D & J) as a whole, associated with Grupokaps (Gkaps) and AssoKappa. 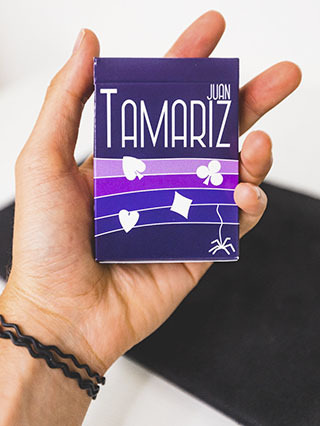 It is influenced by the DVD, Juan Tamariz - Magic From My Heart (Grupokaps 2017), in a tribute to one of the geniuses of magic. A project of almost a year, created from love, admiration, and passion. Today, it finally sees the light. 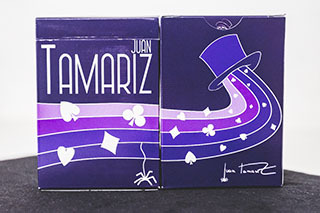 The design by Jonathan Cadenazzi and Arnaldo Thomas DeRosa, focuses on highlighting some of the aspects that caricature and enhance the figure of Juan: the spider and the violin (imaginary). Already in his legendary book Sonata, we can see many illustrations of musical notes resting on staves woven by fun spiders drawn by hand by Juan himself. 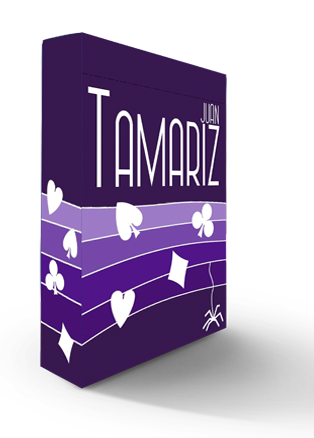 And it is these, the spiders, that always put an end to every thought written by Juan Tamariz, because it is also present in Juan's signature. An innocent spider, weaving threads of ingenuity, creativity... but above all, love of magic. 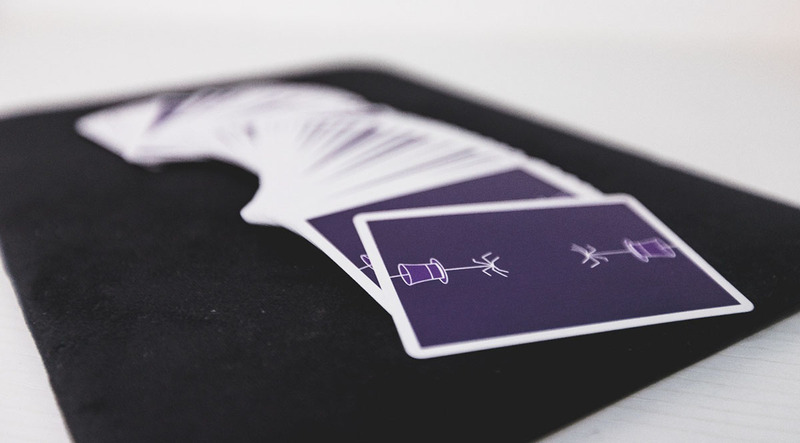 A spider that, if it does not appear in this deck, could never be the Juan Tamariz deck. Dani DaOrtiz: Well, that's the idea, that you can see the beauty of the drawing, right? Dani DaOrtiz: Yes, and me. It's beautiful, is it not? Juan: Muy pretty... but I see it. This was the talk between Dani and Juan in the design process. And so, it is: a violin that everyone remembers, has felt on many occasions... but nobody has ever seen. A violin that seems to play the most magical melodies, prostrated in his hands, and that seems to sound every time Juan finishes an effect. But what they do see, is its no less magical cover. A cover that not only has the mission to give life to an imaginary violin, but also contains hundreds and hundreds of magical effects. 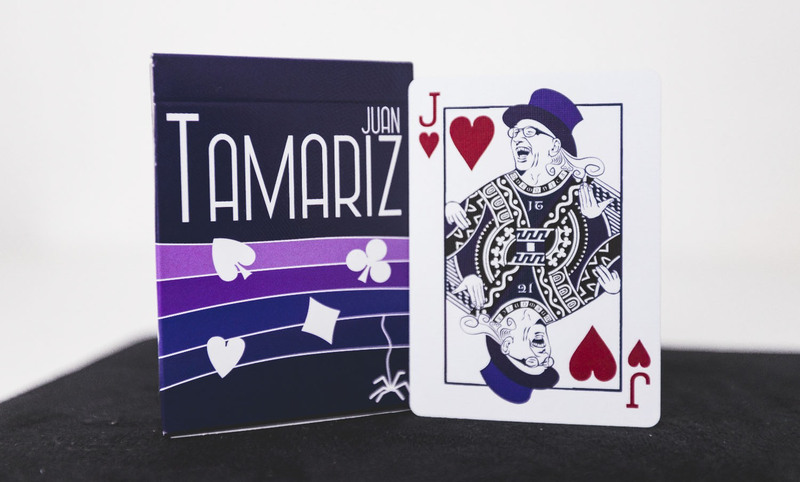 You just have to see any show of Juan's, to know that every time he opens his magical cover, we must prepare ourselves to live a new effect, listen to a new magic melody, represented among Spades, Hearts, Clubs... and Diamonds. All composed in an imaginary pentagram woven by the spiders of passion, and interpreted by one of the greatest geniuses our art has given.